Many people suffer from “tennis elbow”, but there is also an injury called “golfer’s elbow”. 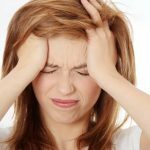 Each of these injuries bears their own traits and symptom. While athletes may be known to suffer from the two, it is, however, not limited to athletic or active people. Instead, your lifestyle or your job may be the culprit causing you to suffer from the injury. Tennis elbow or Lateral epicondylitis as it is known biologically is the name given to the condition where the tendons, in the arm start swelling. Patients will also experience pain radiating through to their fingers. Range and mobility are limited as a result of pain within the elbow region down the forearm as well as the upper arm in some cases. The gripping of a racquet is the most common cause of tennis elbow but it is also induced by other factors like gripping a screwdriver or typing for that matter. 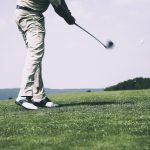 Golfer’s elbow occurs with the repetitive wrist, hand, and, forearm movements this affects athletes who play golf, baseball, and tennis to name a few. The pain usually radiates from the wrist to the elbow or the “funny bone”. However, lifestyle choices or careers may result in this injury because you need to use your wrists, and forearms with repetitive movements. An elbow strap helps to treat both of these injuries and helps to prevent further strain on the already injured tendons. Ice packs and specific exercises to strengthen the forearms have worked for many patients. Steroid injections help patients manage the pain and it brings down the swelling. While these treatments may work for some, it may not be a solid solution for others. Chiropractor’s treatment is a non-invasive safe way to treat your injuries whether you’re suffering of golfer’s elbow or tennis elbow. The chiropractor will assess the injury first as well as take X-rays and do some other tests. 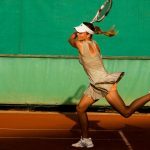 While both tennis and golfer’s elbow may be different injuries altogether, both are closely related. Chiropractic treatment has shown to be effective in many patients suffering from tennis or golfer’s elbow.